It’s that time of year again. The clocks have gone back and the nights are drawing in, the dust has settled from Halloween, the night sky is adorned by fireworks and the high street stores are gearing their sales towards the biggest consumerist event known to mankind. In the football world media discourse is again dominated by sub-standard refereeing and a ludicrous obsession with diving. It is also that time of the year when the managerial landscape of the Football League is once again metamorphosing before our eyes. Surprisingly the Premier League is still waiting for its first managerial casualty of the 2012-13 season, but the revolving door nature of managerial life in the football league is in full swing. Since the start of the season in August there have been 15 managerial changes between the Championship and Leagues One or Two. Of the 72 clubs spread throughout these three divisions, 20.8% of them have been affected; a staggering statistic given that we are barely three months into the season. Aside from Blackburn Rovers (run by headless chickens) and Crystal Palace (whose manager took up a post at another club) every managerial change has been instigated by a club in the bottom half of the table, which is unsurprising. Much is written about how clubs can never expect to achieve either stability or success when there is such constant upheaval, and there is a point to that, but the hiring and firing of managers is simply a natural part of football and the world of business. Increasingly controversial, though, is the poaching of other club’s managers which has afflicted four of the clubs involved. Accrington Stanley manager, Paul Cook, was signed by Chesterfield at the end of last month whilst in the Championship, where the stakes are arguably much higher, three managers have switched clubs. Eddie Howe of Burnley returned to former club Bournemouth in League One whilst Bolton Wanderers, Crystal Palace and now Blackpool have been sucked into the swirling vortex of a managerial merry-go-round. Bolton’s insatiable desire to return to the Premier League, coupled with the seemingly irreversible decline of Owen Coyle’s managerial ability, forced their hand. 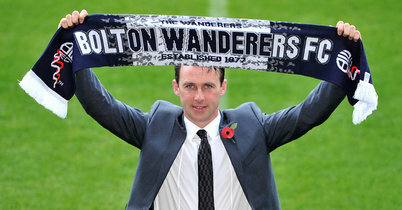 Their pursuit of Palace’s Dougie Freedman, understandable given the club’s high-flying start to the season. Freedman, and, more damagingly, Crystal Palace have now become the victims of their own success. The foundations that Freedman set in place at Palace have been torn apart by no fault of their own, but by the lust and desire of an underachiever. In replacing Freedman with former Blackpool manager Ian Holloway the managerial merry-go-round continues on its haphazard path of destruction. 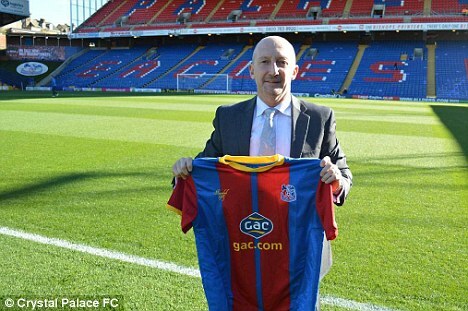 Holloway’s three-year stint with the Seasiders, which brought a season at the top-table of English football, has now been consigned to the past. Blackpool, again through no fault of their own, are left rudderless and now face a chaotic search for a manager who can propel the club up the table. With the season now well underway, there is no room for error, no room for bedding-in and the pressure for a new manager to bring instant results is overwhelming. Given that there is a transfer window for footballers, who cannot move clubs during the course of the season, except during January, managerial movements should be similarly restricted. Though there should be nothing done to sack underperforming managers, the poaching of other clubs’ managers is proving increasingly destabilizing. Too often clubs are becoming a victim of the success that their manager has created. The severance package that they receive in exchange for their manager’s services is hardly a suitable substitute for the years of planning. The spate of managerial changes also brings into sharp focus the purpose of the supremely paradoxical League Managers Association. The organization that represents managers throughout the country is constantly afflicted by conflicting priorities; whilst on the one hand it will express sadness at the departure of one manager, it will then welcome the appointment of another. It acts as a Trade Union for managers in the English leagues but does not do enough to represent those out of a job. Just as more should be done to curb the mid-season managerial merry-go-round, more can be done to help those who get sucked into it. This entry was posted in Analysis and opinion and tagged 2012/13, blackpool, bolton wanderers, championship, crystal palace, dougie freedman, football, football league, ian holloway, league 1, league 2, league managers association, lma, managerial merry-go-round, reebok stadium, selhurst park by James Dutton. Bookmark the permalink.